LONG FOCUS CAMERA. 1887. 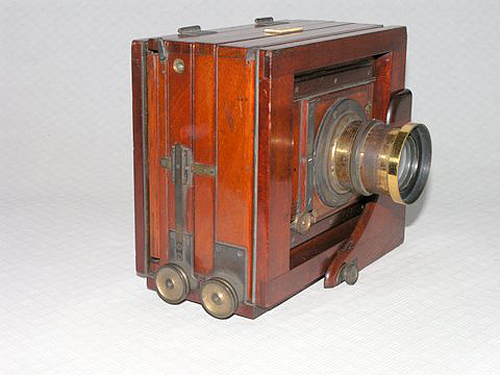 Joshua Billcliff, after several changes of address, was at 27, Richmond St., Boundary Lane, Manchester, when this camera was made. 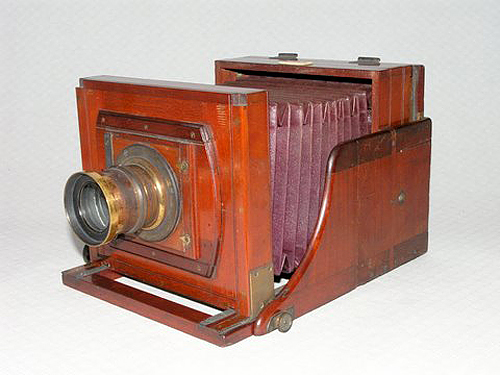 He established his camera-making business, The Manchester Photographic Apparatus Manufactory, in c.1860, and made cameras for most of the Manchester school of photographic pioneers and innovators, including McKellen, Chadwick and Thornton. This truly beautiful camera, one of several versions of the long focus camera that were made, is labelled "Billcliff, Maker, Manchester." 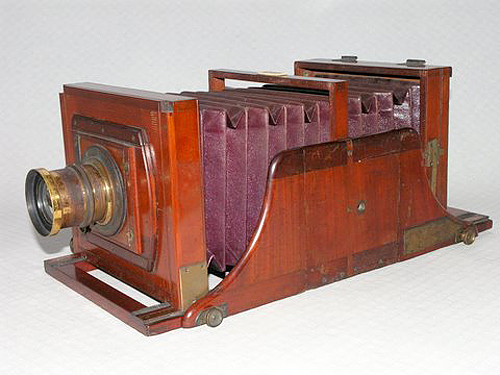 The chances of seeing another one like it, outside of a museum, are minimal.....it is a super rare camera.